Our company – “Anand International” is a well known manufacturer and exporter of kid’s nightwear and we offer a wide range of selection in Kids Nightwear category. High quality material is used for making these clothes and we provide these clothes in a variety of designs, colours and sizes. The kid’s nightwear is available at very affordable prices. We use 100% cotton, which is soft and comfortable to wear. The customization of the clothes can also be availed at our outlet. Range of our kids nightwear includes Kids Nightwear, Nightdress for Kids, Kids Wear, Kids Cotton Knitted Pajama Sets and many more. We are manufacturer having weaving, dyeing, printing of woven & knitted fabrics in house and stitching of Kids Nightwear. Thus ensuring competitive prices of consistent quality and delivery. We specialize in new style and design cotton printed fabrics & Ladies Nightwear, Pajama Sets, Gown, Top, Kurti, Kids Wear, T-shirts. We are manufacturer having weaving, dyeing, printing of Nightdress in house and stitching of ready made garments. Thus ensuring competitive prices of consistent quality and delivery. 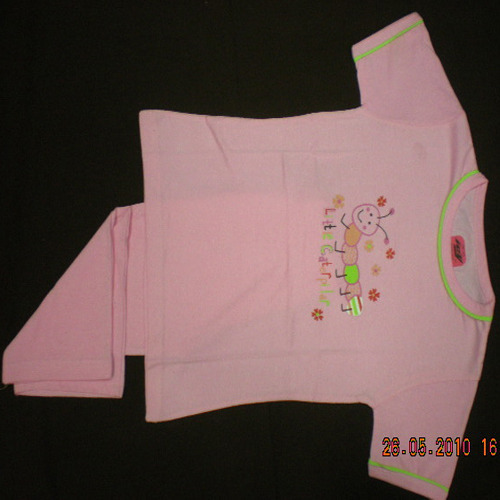 We offer an excellent range of ready made Kids Wear that are manufactured in compliance with the market trends. The ready made garments offered by us comprises ladies kurtis, tops, pajama sets, gowns, tunic, kids wear pajama sets, T-shirts etc. Our range is acknowledged for its rich embellishments, impeccable embroidery, exclusive prints and designs. We are making all our product in house, we have own manufacturing units in India. Looking forward to starting business relation with your company. 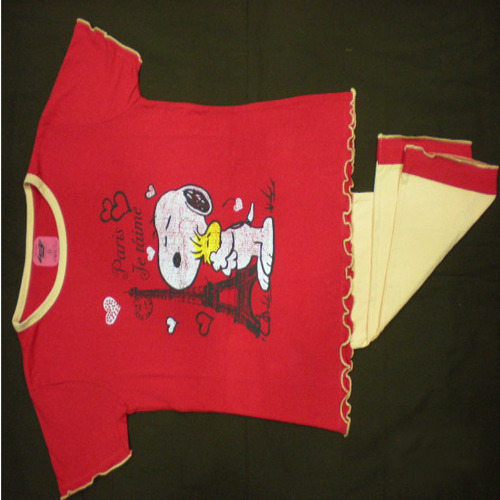 We are offering Kids Wear Pajama Sets Nightwear to our clients. We are offering Kids Sleepwear Pajamas Set to our clients. 100% knitted cotton pajama set we have making in house with best quality stitching and finishing. Our price range is very low. MOQ is 600 set per design. We are offering Girls Pajama Sets to our clients. We are manufacturer and supplier of ready made garment and printed cotton fabrics. We having own manufacturing units in India. We are making various design and style of fabrics and garments. We are interested to do business with you. We have making 100% cotton and also cotton knitted fabrics. 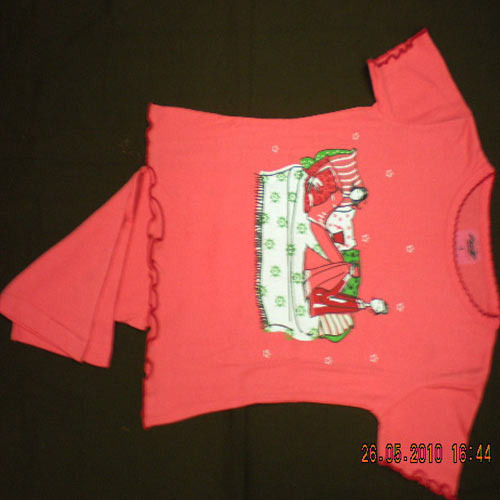 Available thousand of design and style of fabrics for using ladies wear garments and also kids wear garments. 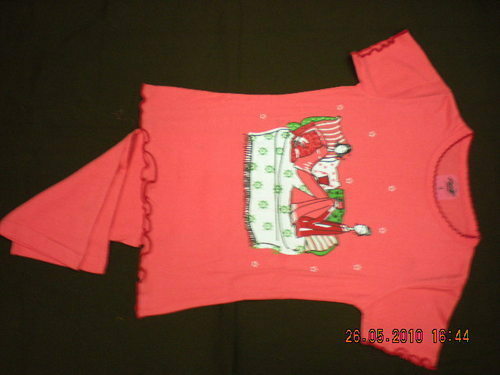 We are supplying kids wear pajama sets @ us $ 3-4. 30 per sets. Please note that our price range goes up & down as per total quantity, design and style.